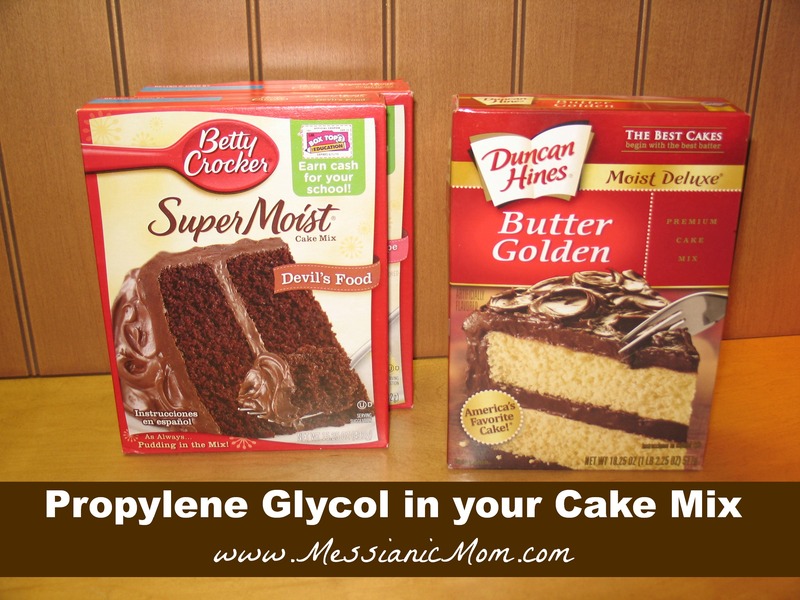 So why is it in our Duncan Hines and Betty Crocker cake mixes? Apparently the FDA doesn’t see a problem with this being consumed. The Pesach leaven search is so good for us… for many reasons, as you see! What a blessing! I was unnerved by many of the labels I read. Going back to scratch baking after Feast of Matzah is over. Crazy isn’t it? We are doing the same thing… getting rid of all this processed stuff! We have a big garden with lots planted already! Back to the basics on so many levels. People need to speak out to these companies about this disgusting additive among others they regularly use. Flood their facebook pages with your comments so others see it too!! Duncan Hines, Betty Crocker, there are facebook pages for all of them. Nothing will change until people say something !!!! Our children should not be consuming this crap!